Trammell Crow Company (TCC) recently completed three speculative industrial buildings totaling 2.4 msf in the Inland Empire. The projects include a 1 msf building in the City of Riverside’s Hunter Park area, a 750k sf building along Riverside County’s I-215 corridor, and a 600k sf building in Fontana’s Sierra Lakes area. All three buildings feature the latest Class A specifications, including up to 37-foot clear heights, up to 8-inch concrete floor slabs, cross-dock loading, 185-foot secured concrete truck courts, dedicated truck queuing aisles, ample trailer and auto parking, and other features required by e-commerce and logistics users. Tom Bak, Senior Managing Director with TCC’s SoCal-Newport Beach office, noted that in addition to featuring world-class building specifications, each of these projects provide direct access to the region’s primary freeways and were specifically designed for the numerous e-commerce companies and logistics providers that require more efficient and modern buildings in the Inland Empire. 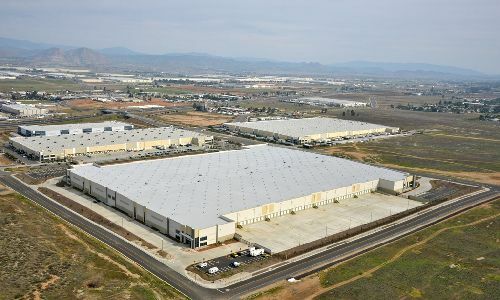 Over the past 12 years, TCC has delivered 11 msf of Class A industrial space to the Inland Empire including complex speculative projects and sophisticated built-to-suit developments.